Often when we think about looking for a new job we can feel stumped and overwhelmed when we contemplate how to begin the process, who to engage and how to really, really recognise what this New Job might look like and how to make choices – how do you figure out what is the right move for you ? Do an online search and you might find yourself frustrated by the volume of jobs advertised, each with about 100 words that can never REALLY tell you if the job might have right appeal for you and instead of energising you it leaves you with a sense of despair. Look long and hard at your list, and rank those attributes that give the va-va-voom to your working day – investing time in identifying what we need to change helps us better identify those roles that will come close to meeting these criteria. The key criteria on your list should be shared in discussion – with your recruitment consultant and/or network of friends / former colleagues. This will also feed into your list of questions to ask at interview to help you assess your next potential employer. 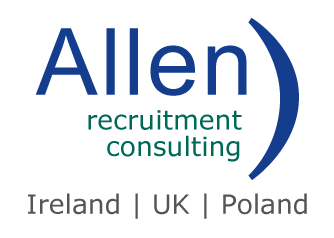 Identify 2 to 3 specialist recruitment agencies that recruit in your field of expertise. See what firms are advertising jobs related to your field / specialism. Compile a list of recruiter names. Determine how much time you are going to spend on each activity daily. Identify those people that you are going to reach out to. Email the identified recruiters and ask them to schedule a call to discuss (promptness of response and the content / professionalism of their response will quickly tell you if they are the calibre of recruitment professional you want to deal with). Talk frankly with your recruiter – engage with them – tell them about your drivers and motivations and what is important to you in a new role. Tell them about your concerns and your aspirations so when they introduce a new role to you ask them how that role would address these. They may not have all the answers but should be able to address the key aspects and give you sufficient information to work with initially. How do the people they have placed with this firm in the past describe / rate the company following their move there? What are the potential negatives? (Unfortunately no job / company is perfect – but the positive attributes must outweigh all others). Conduct your own due diligence on the proposed firm and their business and / or product. Online searches and web sites are a good starting point. Linkedin (your recruiter might be able to share profiles of key people that you would be working with). Review the job specification – is it clear and comprehensive. If not ask more questions. Review your cv in line with the job specification to ensure that you have adequately reflected your own experience relevant to the role with sufficient emphasis, using similar wording and commentary. A good recruitment consultant should be able to assist you in this task. Remember your CV gives the reader their first impression of you – it’s essentially your first interview with subsequent interviews being a validation of the content of your cv and exploring areas of interest in more detail. If a company / job has appeal then discuss this with your recruiter so that they can make a compelling introduction on your behalf to the firm. During the interview process make sure that your recruiter gives you detailed information not just in relation to the basics but also on how you should prepare and what the focus and format will be. Discuss your feedback frankly with your recruiter at each stage during the interview process. If you have any concerns you should raise them with your recruiter and if they cannot be adequately addressed then call a halt. NETWORK Don’t forget that circa 50% of all jobs filled in Ireland are via people’s own network and referrals. Network, talk to former colleagues, follow firms of interest. KNOWLEDGE is key. The more you know the more informed your decision making process will be. You make a decision today based on the information you have available to you now and add to that a little gut instinct too. Finding that right move for you is a complex process. Taking the stress out of the process is helped by being honest with yourself, defining the process, scheduling key tasks and finding the right recruiter for you. Getting that new job can be likened to catching a bus – there’s never one when you quite need it even if you’ve invested time in researching the timetable and… just before you begin to despair several come down the road together – be informed, have patience before you choose which one to take.